The general links will help you plan your holiday and provide any extra information about the Méribel Valley. The supplier links are to established companies that are well known to AMSRental’s management. They are not necessarily the cheapest but each one offers a quality service that sets them aside from their competition. Where appropriate they offer a preferential rate to our clients. Once you have reserved with AMSRentals you will find all the supplier links inside myAMSRentals along with special promotional codes. Alpine Management Services (AMS) has been providing property owners in the Méribel Valley with assistance, support and peace of mind since 1993. From our offices in Les Allues, AMS currently manages around one hundred properties in the Méribel Valley, from small apartments to luxury chalets, for our international clientèle. Once you have booked your chalet or apartment with AMSRentals, login to myAMSRentals then select the documents tab. Under Discount Codes you will find some of the best deals for ski hire, ski schools and other services in the Meribel Valley. Have your fridge stocked for your arrival or get dinner delivered. 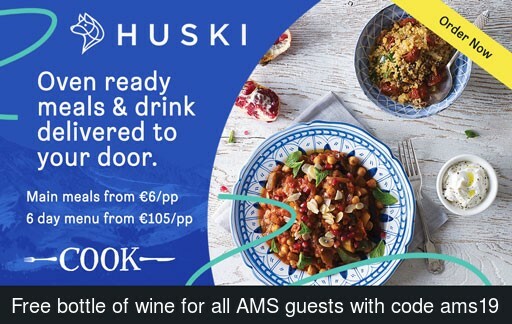 Huski delivers oven-ready meals and drinks which are warming, delicious and ready with next-to-no effort to reward you after a hard day in the mountains. Meribel Nanny Services provide friendly, professional, experienced nannies to the comfort of your holiday accommodation in the Meribel Valley. With each booking they also supply an array of childcare equipment plus an age appropriate toy box for your week. Cab9 instructors have the experience and knowledge to make sure that the exercises and choice of terrain are ideal for your current stage of learning. They understand that you don’t want to get hurt and consider it important that your first time on a snowboard is an enjoyable experience. No matter what your level, you can rest assured you will be learning from the best. Check availability and book your Group or Private lessons online with Parallel Lines, the most popular British School in Meribel. Parallel Lines Snow Sports School provides the very best ski and snowboard lessons for all abilities with English speaking instructors. Based in Meribel, and run by people who know Meribel inside out, they have built a top-level team of skiers and specialist snowboarders, committed to offering the very highest levels of service, from first contact to final turns. They offer a full range of friendly ski and snowboard lessons for adults and children, small group lessons, private lessons, off piste guiding and freestyle. At Meribel Ski Service the caring service and excellent equipment offered by Oscar and Olivier, is testament to why we work with them. As AMSRentals' guests, you are able to reserve your equipment to be collected in the shop or delivered free to your accommodation. Meribel Ski Service offer a courtesy minibus to their shop and as a special for AMSRentals' guests, they also offer a free ski locker service during your holiday. Book now. Slide Candy established themselves in 2010/2011 season as Méribel’s No.1 ski rental delivery service with quality equipment, exceptional customer service, competitive pricing and fantastic value for money. With FREE delivery before you arrive, all equipment is expertly fitted in the comfort of your chalet or apartment. 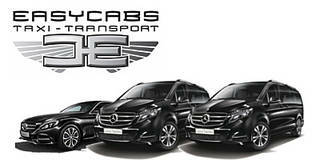 Easycabs offer airports transfers, chauffeured cars & limousines and a taxi service. Based in Meribel they serve the airports and railway-stations of Geneva, Lyon, Chambery, Grenoble and Moutiers. Specializing in high-end transportation, Easycabs have a fleet of luxury vehicles, employ professional experienced drivers who are bilingual. With over 15 years of expertise Easycabs pride themselves on their time keeping & the cleanliness of their vehicles. Three Vallee Transfers have been offering airport transfers from Geneva, Lyon, Chambery and Grenoble Airports for the past twelve years. Specialise in the resorts of the 3 Valleys they also offer ski transfers from Moutiers Station liaising with the Eurostar from London and TGV from Paris. Private and shared services are available.